As a comic book artist and illustrator I am influenced by the comic books and comic book artists that I grew up with and admired. I learned to draw from comic books, drawing images of my favorite characters from a young age and leading me to pursue a career in the comic book industry. I have worked on a number of comic, cartoon, and children’s books, commercial art, and related projects since graduating from Bowling Green State University. I created this piece as I do most of my illustration projects, with thumbnail sketches, working out the story, poses, and perspective until I had a clear idea. From there I started the drawings digitally to finalize the layout, printed my digital sketches, and finished the drawings in pencil and ink. Lastly, I scanned the drawings and then colored and painted them digitally to create the final piece. This artwork embodies my passion for comics, narrative storytelling, a mix of new and old mediums, and the love for our favorite local comic super-heroine. 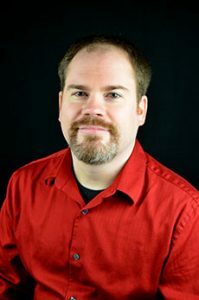 Sean Forney is a fifteen year professional illustrator and comic book artist currently working on Lord of Gore (Devil’s Due), Black Flame, and Zen: Intergalactic Ninja (1First Comics). His work can be seen on books from Image, DC, IDW, Devil’s Due, Zenescope, 1First, Moonstone, and more. Sean has worked for a variety of small and large comic book publishers along with doing commercial art for LEGO, Spin Master, Identity Direct, Disney/Lucasfilm, Titan Publishing, and Scholastic. He specializes in both hand-drawn and digital mediums, often working across mediums to complete a piece of art.Â Along with working for other companies, Sean also works on creator-owned projects and fine art. His drawings, paintings, and digital pieces have been on display in multiple venues and shows. Sean’s most recent book, Geeky Goddesses: The Pin-up Art of Sean Forney, collects studies, drawings, and digital art of local geeky women from around the Midwest. He also co-created, illustrates, and self-publishes his own comic series called Scarlet Huntress. The series tells the story of Scarlet, a young woman who discovers she is the descendant of Little Red Riding Hood. Scarlet must decide if she wants to follow in her family legacy and become the next huntress fighting werewolves or follow her own path. 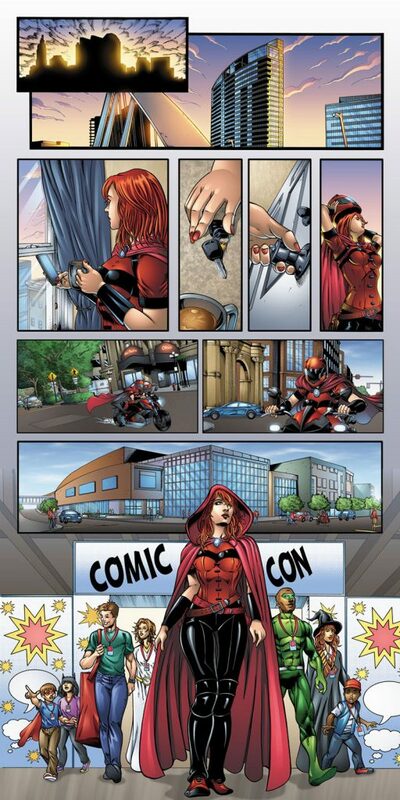 The death of her mother pushes her decision and Scarlet takes up the mantle of the red hood to avenge her mother’s death.